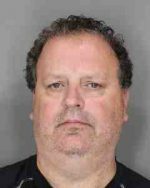 OSWEGO – On Tuesday (October 9) at 9:37 p.m., deputies arrested John M. Holbrook, 50, of 3134 CR 2, Pulaski, for fourth-degree grand larceny, a class E felony and second-degree criminal mischief, a class D felony. The arrest stems from the investigation into an incident that occurred in the town of Richland. He allegedly directed trees to be cut on a property owned by Oswego County without permission then received cash for said trees and intentionally damaging the property. Holbrook was arraigned in the Town of Richland Court and remanded to the Oswego County Jail held without bail due to two prior felonies. He is scheduled to return to the Town of Richland Court on October 17.